Proprietary Name: Dexycu What is the Proprietary Name? Dexycu with NDC 71879-001 is a a human prescription drug product labeled by Eyepoint Pharmaceuticals Us, Inc. The generic name of Dexycu is dexamethasone. 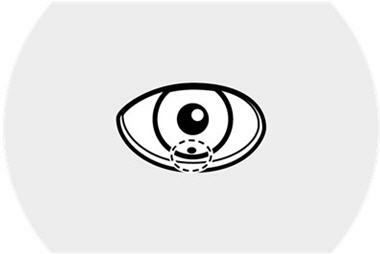 The product's dosage form is injection, suspension and is administered via intraocular form. Intraocular - Administration within the eye. FDA Application Number: NDA208912 What is the FDA Application Number? 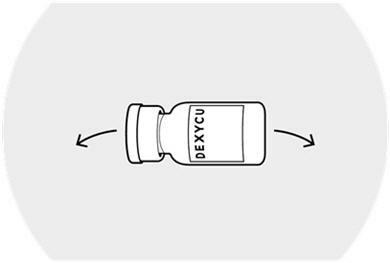 DEXYCU (dexamethasone intraocular suspension) 9% is indicated for the treatment of postoperative inflammation. DEXYCU should be administered as a single dose, intraocularly in the posterior chamber at the end of surgery. The dose is 0.005 mL of dexamethasone 9% (equivalent to 517 micrograms). Each kit of DEXYCU is for a single administration. 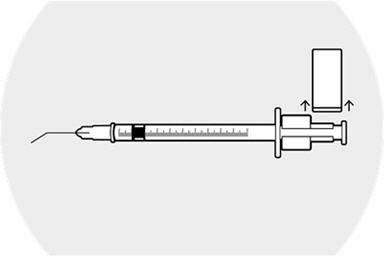 After preparation, 0.005 mL will be administered.The DEXYCU administration kit contains the following items:One glass vial: 0.5 mL of DEXYCUOne sterile 1-mL syringeOne sterile syringe guideOne sterile syringe ringOne sterile 18-gauge needle (1½ inches long), plastic cap attachedOne sterile 25-gauge bent cannula (8 mm long), plastic cap attachedStep 1. Prepare a sterile field. 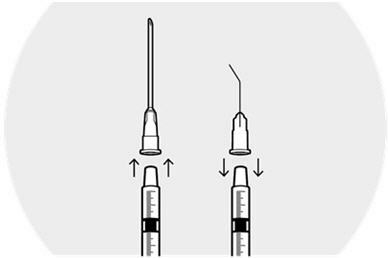 Remove the components of the administration kit from their respective pouches:syringesyringe guidesyringe ringneedlecannulaPlace onto the sterile field.Step 2.Withdraw the syringe plunger approximately 1 inch. 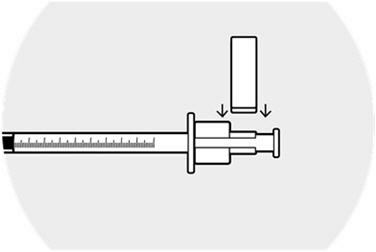 Place the syringe ring on the plunger (slit facing the plunger).Apply slight downward pressure until the syringe ring "snaps" into place.Step 3.Place the 18-gauge needle firmly on the syringe.Remove the cap from the needle.Depress the plunger completely and then withdraw the plunger to fill the syringe with air.Step 4.Vigorously shake the vial of DEXYCU sideways for a minimum of 30 seconds.The suspended drug material must be used immediately after shaking.Step 5.Remove the blue plastic flip-cap from the vial and wipe the top of rubber stopper with an alcohol pad.Invert the vial.Step 6.Insert the needle into the vial and inject the air into the vial.Making sure the needle tip is immersed in the drug material pooled in the neck of the inverted vial, fill the syringe by slowly withdrawing the plunger approximately 0.2 mL.Remove the needle from the vial and discard the unused portion in the vial.Step 7.Remove the needle from the syringe.Firmly place the cannula on the syringe and remove the plastic cap.Hold the syringe vertically with the cannula pointing up.Depress the plunger to expel air bubbles from syringe.Step 8. Affix the syringe guide over the syringe ring on the plunger.Step 9.Depress the plunger until the syringe guide/ring mechanism comes gently into contact with the flange of the syringe.Lightly tap/flick the barrel of the syringe to remove any excess drug from the tip of the cannula.Do not wipe or touch the tip of the cannula to remove excess drug.Step 10.Remove the syringe guide, leaving the syringe ring in place.Caution to not move the plunger. 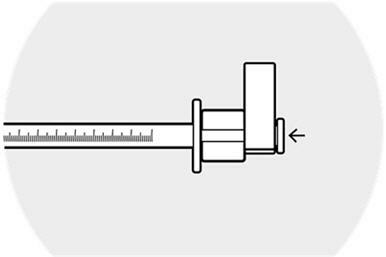 The space between the syringe ring and the top of the plunger is the medication injection volume that will be applied to the patient's eye.The syringe is now ready for injection.Step 11.In a single slow motion, inject 0.005 mL of the drug material behind the iris in the inferior portion of the posterior chamber. If the sphere of administered drug after intraocular injection appears to be larger than 2 mm in diameter, excess drug material may be removed by irrigation and aspiration in the sterile surgical settingPLEASE NOTE: Some drug material will remain in the syringe after the injection—this is necessary for accurate dosing. Discard unused portion remaining in the syringe after administration. 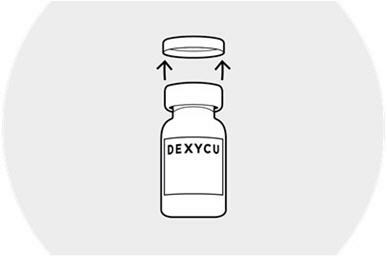 DEXYCU contains dexamethasone 9% w/w (103.4 mg/mL) as a sterile suspension for intraocular ophthalmic administration. 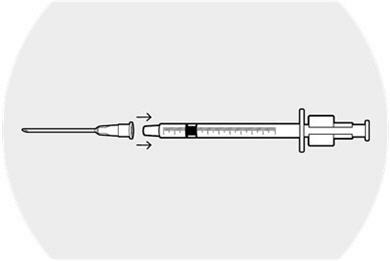 DEXYCU is provided as a kit for administration of a single dose of 0.005 mL of 9% dexamethasone (equivalent to 517 micrograms of dexamethasone). Prolonged use of corticosteroids including DEXYCU may result in glaucoma with damage to the optic nerve, defects in visual acuity and fields of vision. Steroids should be used with caution in the presence of glaucoma. The use of steroids after cataract surgery may delay healing and increase the incidence of bleb formation. In those diseases causing thinning of the cornea or sclera, perforations have been known to occur with the use of corticosteroids. The use of DEXYCU, as with other ophthalmic corticosteroids, is not recommended in the presence of most active viral diseases of the cornea and conjunctiva including epithelial herpes simplex keratitis (dendritic keratitis), vaccinia, and varicella, and also in mycobacterial infection of the eye and fungal disease of ocular structures.Employment of a corticosteroid medication in the treatment of patients with a history of herpes simplex requires caution. Use of ocular steroids may prolong the course and may exacerbate the severity of many viral infections of the eye (including herpes simplex). Fungal infections of the cornea are particularly prone to develop coincidentally with long-term local steroid application. Fungus invasion must be considered in any persistent corneal ulceration where a steroid has been used or is in use. Fungal culture should be taken when appropriate.Prolonged use of corticosteroids may suppress the host response and thus increase the hazard of secondary ocular infections. In acute purulent conditions, steroids may mask infection or enhance existing infection. The use of corticosteroids in phakic individuals may promote the development of posterior subcapsular cataracts. Because clinical studies are conducted under widely varying conditions, adverse reaction rates observed in the clinical studies of a drug cannot be directly compared to rates in the clinical studies of another drug and may not reflect the rates observed in practice.The following adverse events rates are derived from three clinical trials in which 339 patients received the 517 microgram dose of DEXYCU. The most commonly reported adverse reactions occurred in 5-15% of subjects and included increases in intraocular pressure, corneal edema and iritis. Other ocular adverse reactions occurring in 1-5% of subjects included, corneal endothelial cell loss, blepharitis, eye pain, cystoid macular edema, dry eye, ocular inflammation, posterior capsule opacification, blurred vision, reduced visual acuity, vitreous floaters, foreign body sensation, photophobia, and vitreous detachment. Risk SummaryThere are no adequate and well-controlled studies of DEXYCU (dexamethasone intraocular suspension) 9% in pregnant women. Topical ocular administration of dexamethasone in mice and rabbits during the period of organogenesis produced cleft palate and embryofetal death in mice and malformations of abdominal wall/intestines and kidneys in rabbits at doses 7 and 5 times higher than the injected recommended human ophthalmic dose (RHOD) of DEXYCU (517 micrograms dexamethasone), respectively [see Data]. In the US general population the estimated background risk of major birth defects and miscarriage in clinically recognized pregnancies is 2 to 4% and 15 to 20%, respectively. Animal DataTopical ocular administration of 0.15% dexamethasone (0.75 mg/kg/day) on gestational days 10 to 13 produced embryofetal lethality and a high incidence of cleft palate in mice. A dose of 0.75 mg/kg/day in the mouse is approximately 7-times the injected RHOD of DEXYCU, on a mg/m2 basis. In rabbits, topical ocular administration of 0.1% dexamethasone throughout organogenesis (0.20 mg/kg/day on gestational day 6, followed by 0.13 mg/kg/day on gestational days 7 – 18) produced intestinal anomalies, intestinal aplasia, gastroschisis and hypoplastic kidneys. 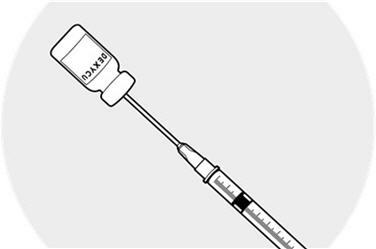 A dose of 0.13 mg/kg/day in the rabbit is approximately 5-times the injected RHOD of DEXYCU, on a mg/m2 basis. A no-observed-adverse-effect-level (NOAEL) was not identified in the mouse or rabbit studies. Risk SummarySystemically administered corticosteroids are present in human milk and can suppress growth, interfere with endogenous corticosteroid production, or cause other unwanted effects. There is no information regarding the presence of injected DEXYCU in human milk, the effects on breastfed infants, or the effects on milk production to inform risk of DEXYCU to an infant during lactation. The developmental and health benefits of breastfeeding should be considered, along with the mother's clinical need for DEXYCU and any potential adverse effects on the breastfed child from DEXYCU. Safety and effectiveness of DEXYCU in pediatric patients have not been established. No overall differences in safety or effectiveness have been observed between older and younger patients. 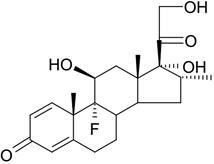 Dexamethasone is a corticosteroid. Corticosteroids have been shown to suppress inflammation by inhibiting multiple inflammatory cytokines resulting in decreased edema, fibrin deposition, capillary leakage and migration of inflammatory cells. Systemic exposure to dexamethasone was evaluated in a subgroup of patients enrolled in two studies (n=25 for the first study and n=13 for the second study). The patients received a single intraocular injection of DEXYCU containing 342 mcg or 517 mcg of dexamethasone at the end of cataract surgery and blood samples were collected prior to surgery and at several time points post-surgery between Day 1 and up to Day 30. 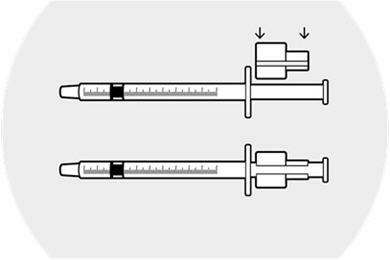 In the first study, the dexamethasone plasma concentrations on post-surgery Day 1 ranged from 0.09 to 0.86 ng/mL and from 0.07 to 1.16 ng/mL following administration of DEXYCU 342 mcg and 517 mcg, respectively. In the second study, dexamethasone plasma concentrations on post-surgery Day 1 ranged from 0.349 to 2.79 ng/mL following administration of DEXYCU 517 mcg. In both the studies, dexamethasone plasma concentrations declined over time and very few patients had quantifiable dexamethasone plasma concentrations at the final time point of sampling (Day 15 or Day 30). 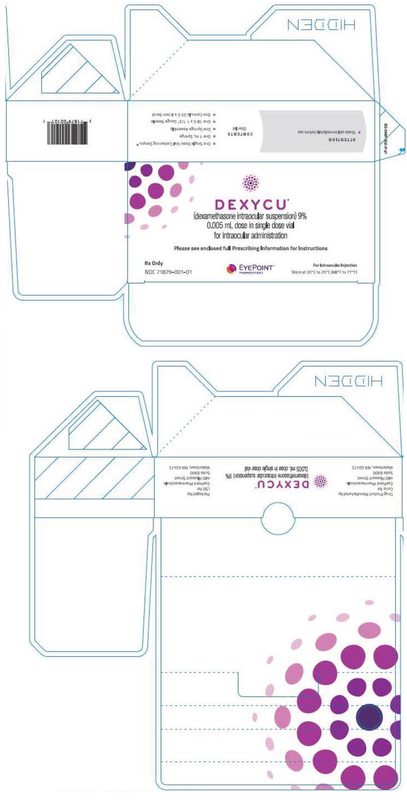 Each kit of DEXYCU contains a single dose for a single patient. 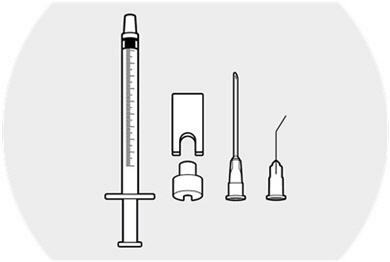 The 2-mL glass vial is filled with 0.5 mL of 9% dexamethasone intraocular suspension and has a blue cap (NDC # 71879-0001-01).Each kit also contains one sterile 18-gauge, 1.5-inch needle with a plastic cap attached, one sterile plastic 1-mL syringe for withdrawal of the vial contents, one sterile 25-gauge 8-mm cannula with a plastic cap attached for the intraocular administration, and one syringe assembly pouch containing a sterile ring and a sterile syringe guide used for measuring and injection of the 0.005 mL dose.